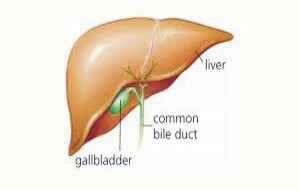 The gallbladder is a pear-shaped organ that stores bile from the liver, until the body needs it for the digestion and absorption of fats in the duodenum. It plays a role in your digestive system, which makes it an organ you should endeavour to maintain its health as well. In a simple term, the gallbladder stores bile pigment produced by the liver, thereby playing a key role in fat metabolism and cholesterol control. However, eating a diet high in cholesterol not only increases your risk of heart disease but also puts you at a risk of gall stones. In this post, we shall be looking at some simple diet tips to prevent gall stones, thereby maintaining your gallbladder health. Read on! If you are overweight and are planning to go for crash dieting to lose weight quickly, then drop the idea as it puts undue pressure on the gallbladder. In fact, eating healthy and exercising religiously is the key to keeping your weight in check. Most of us fail to control the urge for fried foods like samosas, puris, pakoras and medu wadas but excess consumption of fried foods hinders digestion and also irritates the lining of gall bladder, increasing your risk of gall bladder problems. Replace fried foods with fresh fruits and vegetables to improve the organ function. If whole milk dairy products like cheese, butter and ice-cream find a place in your platter then shun these foods from your diet. If you can't live without having dairy products, then opt for low-fat dairy products to ease the pressure on the gallbladder. If you believe that eating once a day or keeping long hours between meals is ok when you are trying to lose weight, then you are wrong. Instead, eating frequently and having meals at the same time every day is the key for a healthy gallbladder.